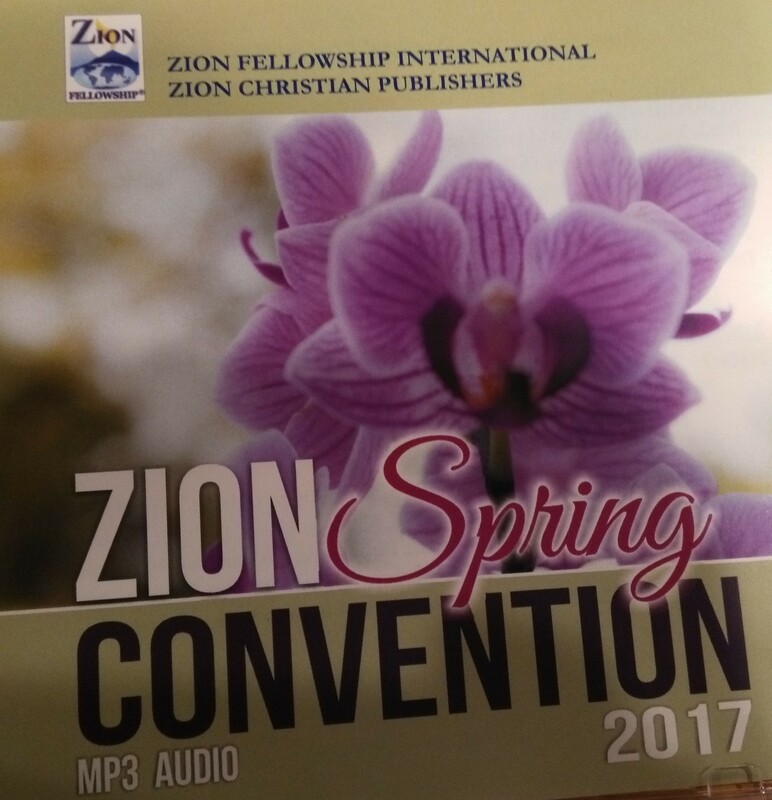 MP3 of Zion Fellowship International's 2017 Spring Pastors' Convention. The MP3 on a CD will be shipped upon purchase. Contains 18 Tracks of Worship Services, Special Music, Messages, and Testimonies. Messages: Apostle Peter by Rev. David Wallis, Faith by Rev. Daniel Caram Sr., The Violent Take the Kingdom by Rev. Norman Holmes, Five Keys in Difficulties by Rev. John Heyer, God is Light by Dr. Paul G. Caram, Pulling Your God-given Weight by Rev. Daniel Gazaway, How is your Heart by Rev. David Kropf, Living as Sheep Among Wolves by Rev. Rob Tucker Jr., Purity in Zion by Rev. Robert Tucker Sr.